1. Specialize in custom-made items & designs. 2. 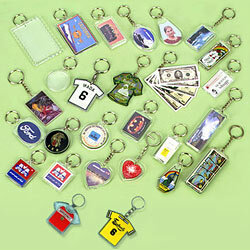 Prices depend on designs, packing and order volume. 3. OEM orders and buyer's design logos packing requirements are accepted. 1. SY-10 / 5 x 4CM. 3. SY-13 / 6.2 x 3.6CM. 4. SY-12 / 7.8 x 5CM. 5. SY-27 / 9 x 5.9CM. 6. SY-06 / 5.2 x 3.4CM. 7. SP-20 / 6.4 x 2.9CM. 8. YT-02 / 5.1 x 3.2CM. 9. SY-07 / 8.5 x 3.3CM. 10. CD014 / 7.5 x 3CM. 12. TS-1 / 6.3 x 6.0CM. 13. SW-1 / 4 x 5.5CM. 16. SY-01 / 5.2 x 4CM. 19. SY-03 / 5.2 x 4CM. 20. SP-27C / 4.8 x 2.6CM. 21. SP-23 / 5.7 x 3.2CM. 23. SY-02 / 5 x 4.8CM. 24. SY-04 / 4 x 4CM. 25. NSP-22 / 4 x 4CM.